The tornado watch has been dropped for our region. 5pm update: The tornado watch has been dropped for our region for the remainder of this evening. The line of storms developed well south and east of our region. Violent super cell storms produced damaging hail and reports of funnel clouds and a tornado (Sullivan County) Tuesday afternoon. The storms are expected to continue to push south and east into Southern New England and NYC as we head into this evening. 1pm update: A cold front is moving through the region this afternoon with a line of showers and thunderstorms. Areas in the Southern Valleys have not seen much in the way of rain and more sunshine this morning into the afternoon, making for favorable conditions for thunderstorm activity. 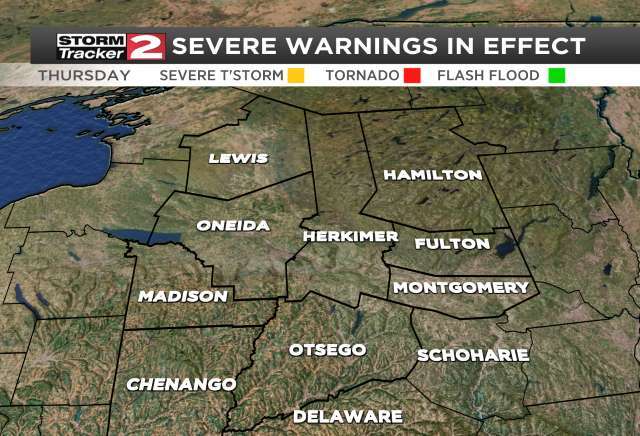 The threat for severe weather is less across the Mohawk Valley and North Country as clouds and rain have been around throughout the day. 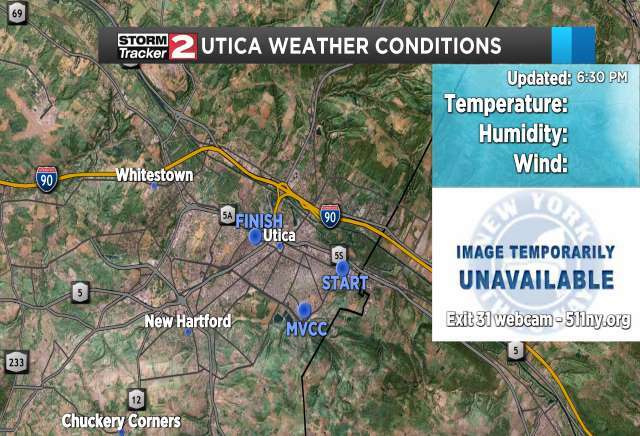 A few non-severe thunderstorms are possible but the best chance is to the south of the Mohawk Valley. Any thunderstorms that do develop could be on the strong side with damaging winds and small hail. The chance for a tornado to develop is very slim but it possible. When a warning is issue, take the proper precautions and head indoors. WARNING: Severe weather is currently or imminently happening.